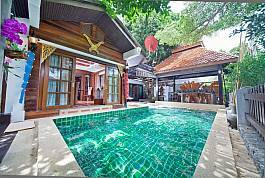 Baan Ruean Thai is an elegant, Thai-style villa set in a quiet village within an amazingly convenient location. 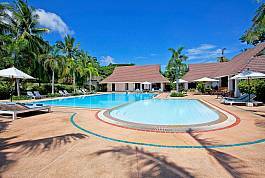 It’s a quick walk to Jomtien Beach, restaurants, bars, etc., but the secure village and mature gardens feel miles away, almost like living in the famous Jim Thompson's dreamy world with all the modern comforts. 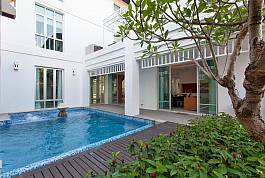 This 6-bedroom villa sits on a gated estate just 0.5km from Na Jomtien Beach. With a private swimming pool, luxury design, and lots of space to relax and unwind, this villa is in a prime holiday location. Spacious 6 bedroom villa with double living areas in quiet village setting less than 20 minutes from Jomtien Beach. 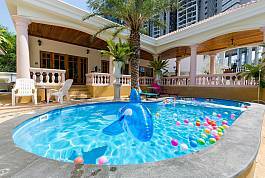 Private Pool is a central feature outside while the full system Karaoke Room offers evenings of fun and entertainment. 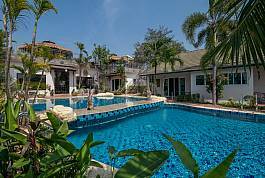 Set amidst a 5-star residential development just a few minutes' drive from Na Jomtien Beach, this 6 bedroom villa is set over 3 floors and sleeps 16 people in total. 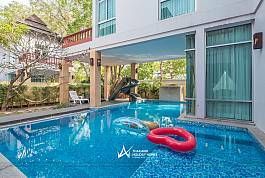 Luxurious and modern in design, conveniently located in a quiet area not too far away from Jomtien Beach, this rental is perfect for large families and groups of friends holidaying in Pattaya. This luxury 6-bedroom villa resort at Huay Yai is ideal for those looking for a premium luxury villa that can sleep up to 12 people. 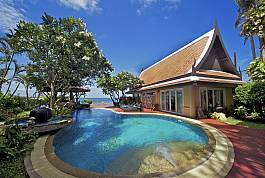 Coming equipped with a stunning Thai tropical design, a private swimming pool and a luxurious interior, this villa is perfect for families and groups. Ever wanted to holiday in your own mini-resort? Buraran Suites near Bangsaray is a dream come true. It’s a lavish place, wrapped in luxury, with six individual bedrooms and many areas for entertaining and relaxing. Surrounded by scenic countryside and with easy access to the beach, you’ll feel right at ease in this amazing mini-resort. Villa Haven is the absolute luxury holiday villa of one's lifetime. Decorated in Thai and Pan-Asian Style with stellar attention to every detail and 5-star standard, here, memories are made and treasured. An elevated private beach on the ocean blends with stunning outdoor areas and an interior from the pages of Architectural Digest. Located just footsteps from the beach, Black Swan Villa has 6 bedrooms and is divine in every possible way. 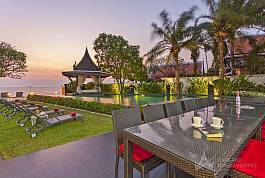 This divine Villa mixes the best of the modern world with all the class of traditional Thai culture. For that perfect blend of the old and new, there really is no better place to stay. Just one look at the place and you’ll know that you’re in for a genuine tropical experience. The views of the beach from the Villa are spectacular.